Remember the displaced piano bench from last week? Flickr’s “sickathanathas” piano bench-turned-kids-chalkboard-studio was the winningest inspiration, and Gadora gave hers a gadorable transformation with a can of chalkboard paint and some elbow grease. The inside was sanded too, to remove the gook, and make room for the pretty aviary decoupage to be applied later. 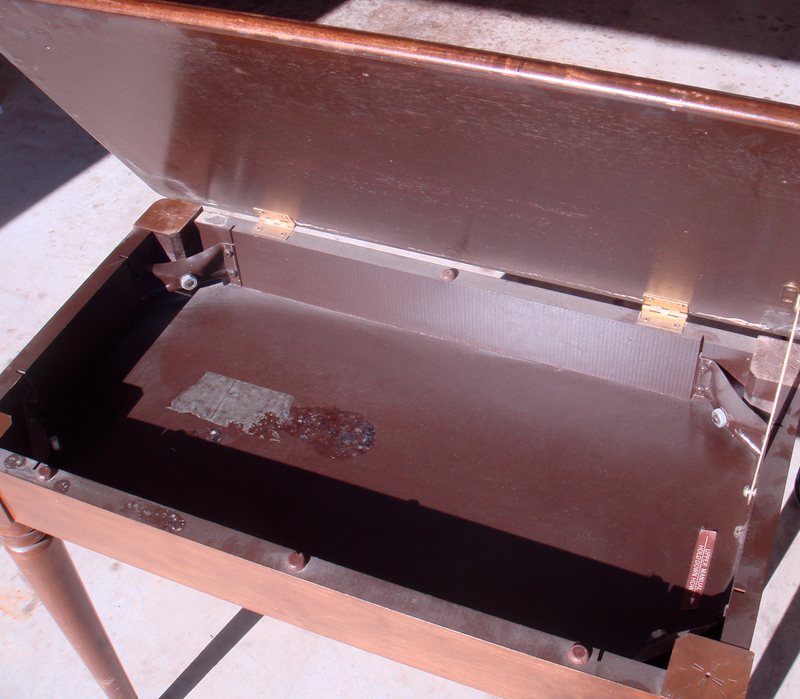 The seat lifting mechanism locks bench top open. Once the bench received a good sanding, and did I tell you how much I love my mouse sander?, the Fresco red Rust-oleum chalkboard paint was ready for application. Gadora realized the early American frame and mirror I’d snagged over the summer could complete the set, so prepped it for paint application too. The project took a few days to complete. Each of those days, after initial preparation of surfaces, Gadora applied 2 to 3 coats of chalkboard paint with a light sanding in between. 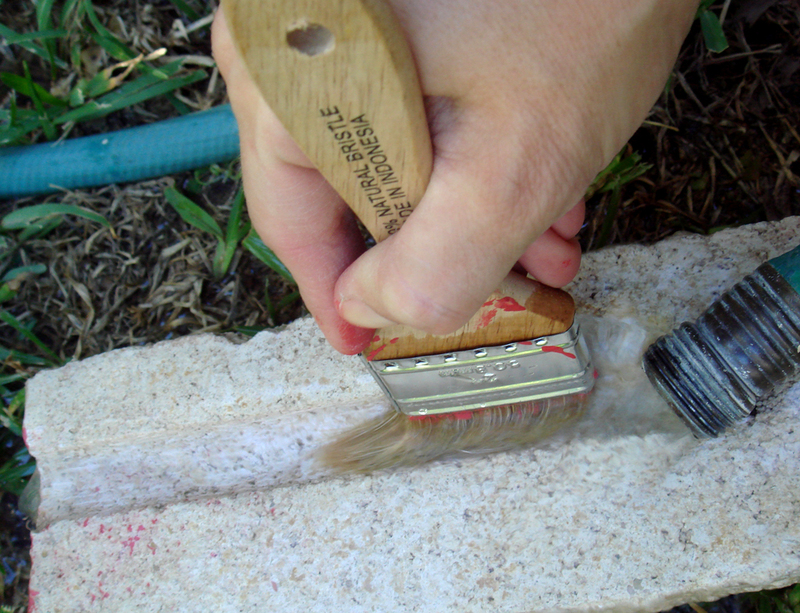 While I’m a fan of storing full paint brushes in a baggy in the fridge for easy access the next day, I washed my brush on a brick outside. The groove in the center is the right spot for trickling water and scrubbing off excess paint. What a cute creative center for the kiddos! 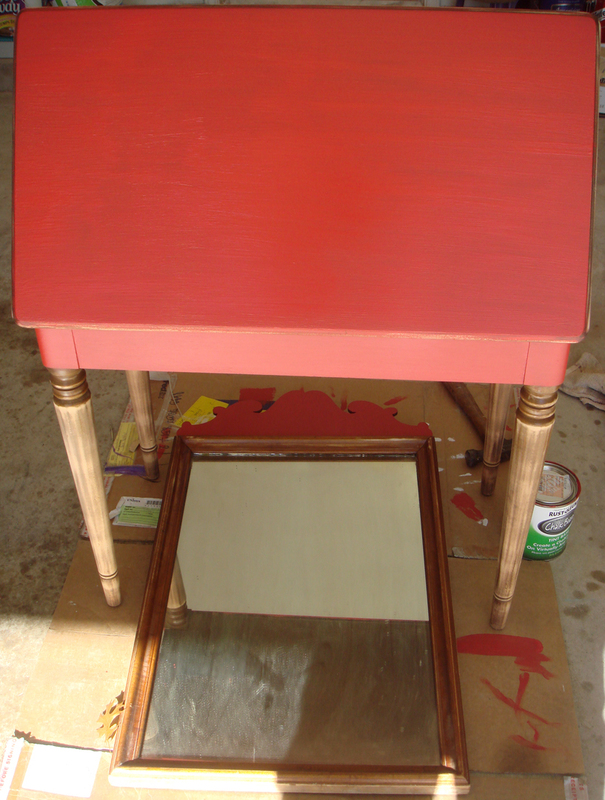 The top and sides of bench, along with top of mirror, were coated with chalkboard paint. All the better to scribble on. 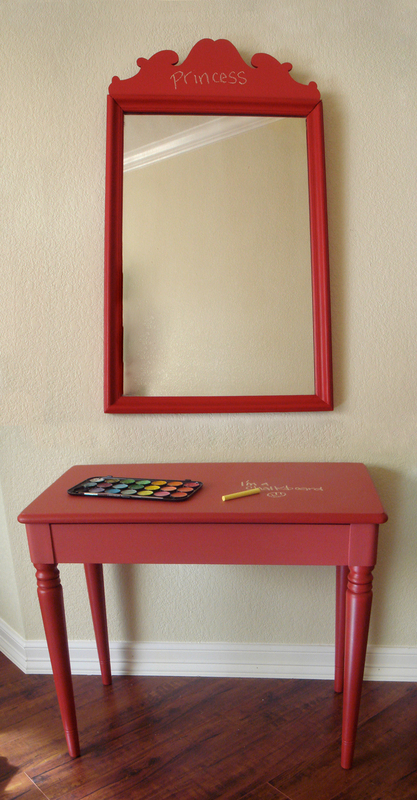 To amp up the snap factor, the legs of bench and frame of mirror were painted in a similar—but slightly glossy—red paint. The bench opening mechanism is in perfect shape, and locks when open, saving tiny fingers from a hurting. The inside of bench was decoupaged with a vintage aviary wallpaper, making the inside a fun place to store chalk, coloring books, and all other essential budding artist supplies. The two chalkboard pieces make a nice pair. A proper duet, if you’ll allow me. The bench, measuring 22″ high, leaves 18.25″ to tuck a cutsie baby chair underneath. 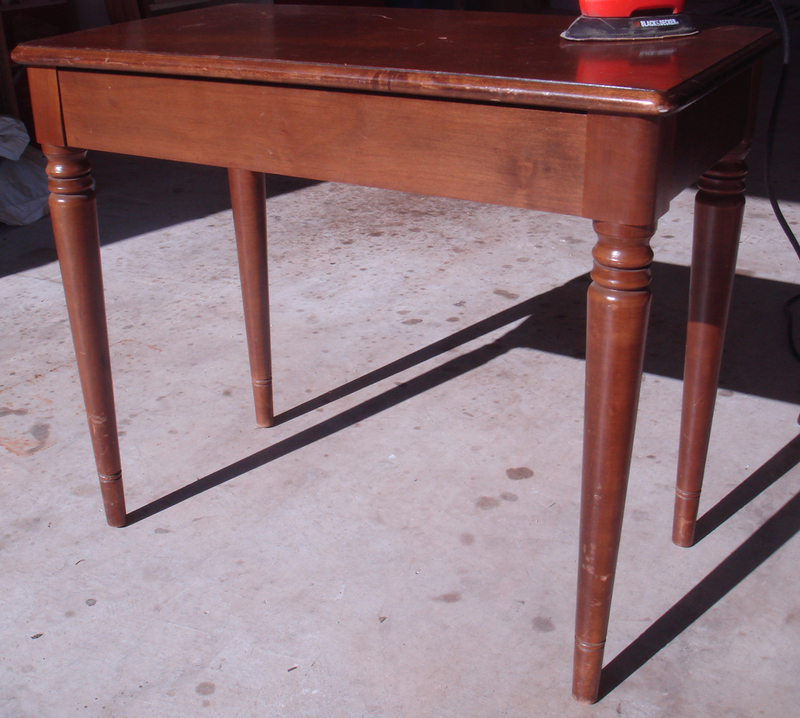 * It has been the 3 days Rust-oleum requested for dry time. The surface has been conditioned with a piece of chalk rubbed over entire surface, then erased. In another week, the chalkboard surface can be wiped clean with a damp cloth. A creative center for the kids, with easy clean-up. Now, that’s music to our ears. Posted on November 18, 2009 January 7, 2010 by gadorawilderPosted in BEFORE & AFTERTagged Do-it-Yourself, dresser, easy art project, How to, inexpensive project, vintage. Truly Gadorable! Love that it is not pastel.